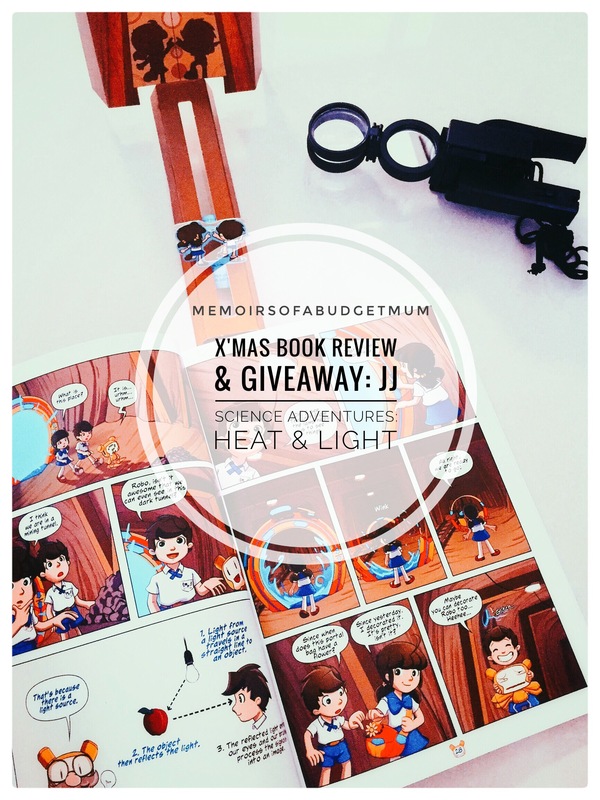 A Budget Mum Review & X’mas Gift-Away! The best thing about Christmas has to be the giving–the jolly time of the year where we make a mad dash to nearby suburban malls, join snaking queues, grab some gifts that would bring cheer, to the ones we hold so dear. Forgive me for that terribly cliched mouthful–perhaps picking out products thrown out on the aisles during Christmas flash sales are a tad consumerist. After all, we don’t need more stuff, do we? If I had my way, there’s probably only one kind of gift that the world needs more of. Can you guess it? Yes, to all you excellent mindreaders. Books. There’s always room in the universe for another book. Those who know me, know I have a slight fondness for books (ok, it’s probably more than that.) I might not spend much in a jewellery store nor blow my money in a hair salon or pedicure, but a bookstore almost never allows me to leave empty-handed and wanting. Books are a thinking girl’s soulmate. They add warmth to my home and character to my household mess-at least that’s what I would like to think. They also manage to cosy up next to my bedside table with a good number of them making pleasurable bedfellows. My husband ought to be jealous. 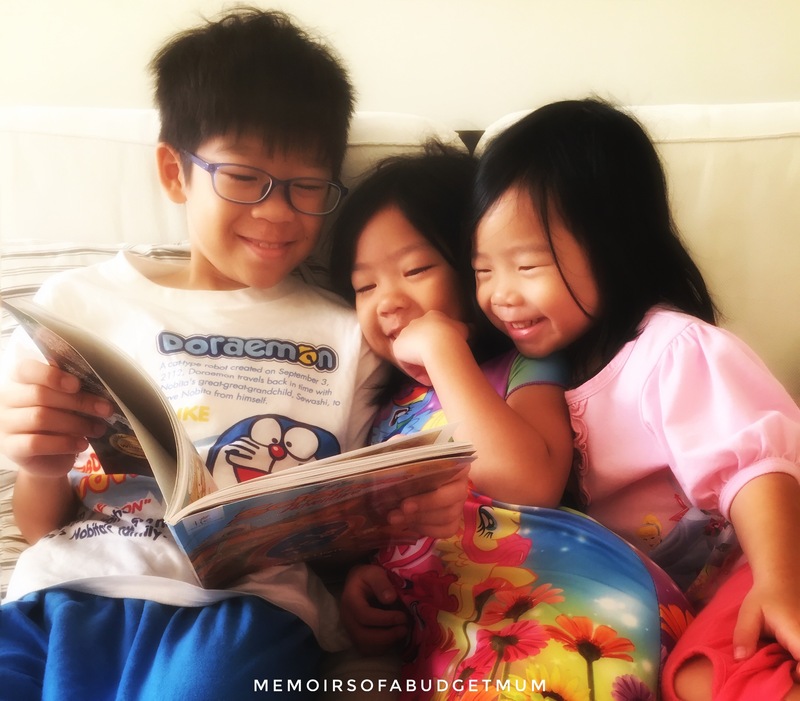 As a family, we love that good books are gifts that GIVE: they give us time to ourselves, deeper insights and pleasure. They can be enjoyed over and over by different people, and contain timeless messages while filling the creative canvass of our imaginations. Physical books help us spontaneously unplug. For a few years now, the kids have taken to comic books because they are mainly visual learners and always enjoy a lighthearted reading. 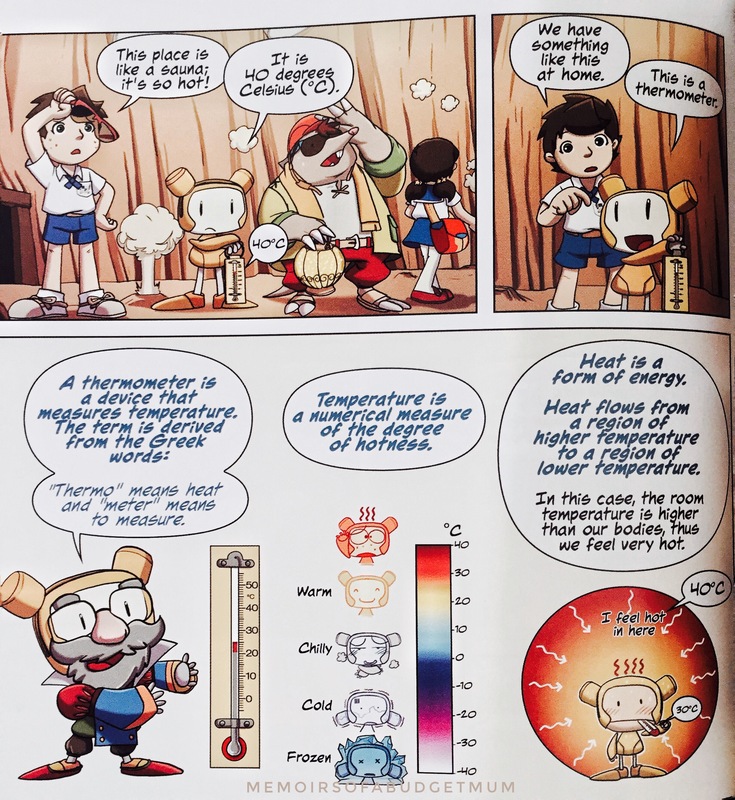 So imagine our delight when we were invited to review JJ Science Adventures: it was a perfect addition to our comic book collection and our book shelves! Boy, were we in for a treat. 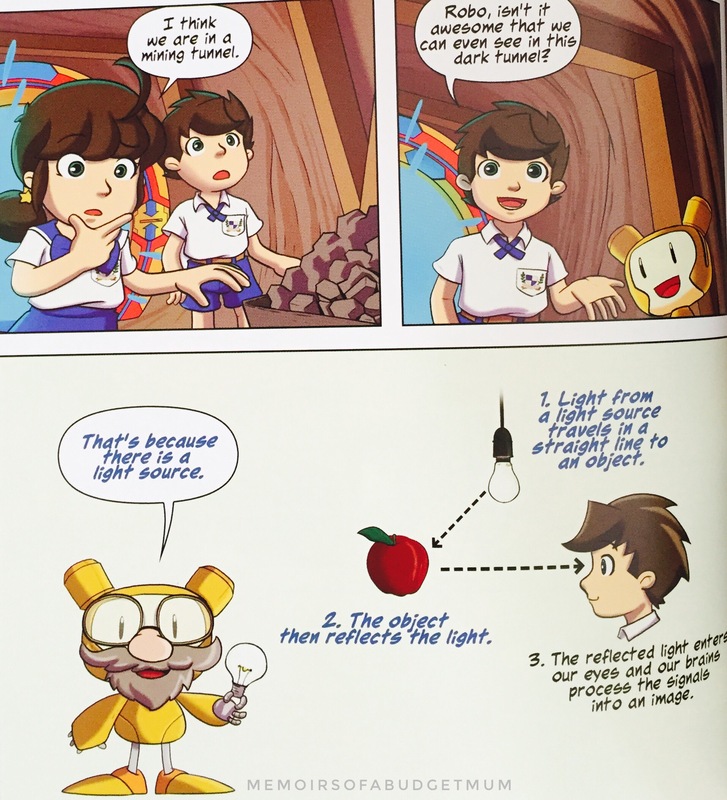 Aurelia Tan’s JJ Science Adventures got us right into the thick of action, fun and learning all at the same time. 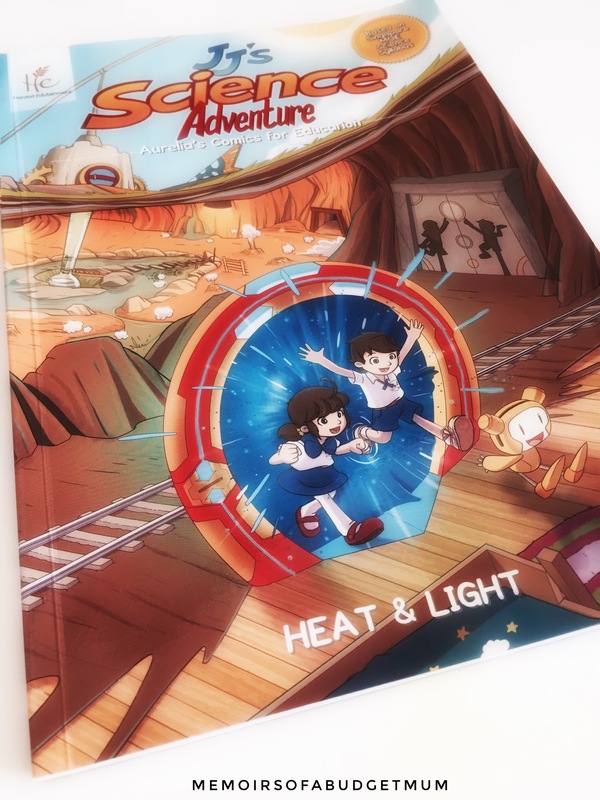 JJ’s Science Adventure is a series of educational comic books, authored by Aurelia Tan and illustrated by Nicholas Liem, designed to help young readers grasp science concepts following the key learning objectives stated in the Ministry of Education’s Primary School Science syllabus AND enjoy them! In this reading adventure, the twin protagonists, Joyce and Jonathon (JJ)journey into the World of Heat and Light to unlock challenging puzzle traps. Armed with the birthday presents from their grandfather ; two bags which transform into a talking robot (Robo) and a teleportation portal, the kids discover a portal into a sub-dimensional world created by the ‘World Maker’, an incredible invention by their grandfather to help them learn science. The scientific concepts of “Heat & Light”, a primary 3-4 Science topic, are skillfully and effortlessly woven at every twist and turn in the narrative such that the children do not feel they are being presented with a “lesson”. It is a graphic novel with a heart: the heart to teach children where and how they learn best: with an engaging plot and context, tight storytelling and a wonderfully illustrated cast of characters. “Heat & Light” is the second book in the series. The first, “Magnets”, uses a similar approach to learning. 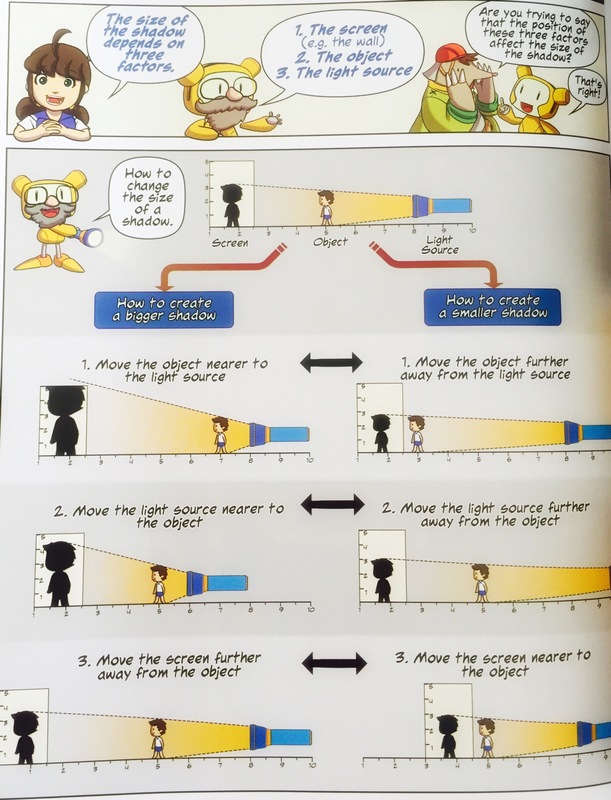 If only Science textbooks were this way! Science is used to problem solve within the narrative. As the characters go through obstacles, the thought processes of characters demonstrate how Science is relevant in helping to diagnose and solve problems. In this example below, the protagonists attempt to open what appears to be a metal vault. The characters try different methods outlining principles of expansion and contraction to find a way to open the vault, which they eventually do. In this next example, the sibling duo attempt to save the day by creating a shadow. The factors affecting the size of the shadow are explored by the protagonists: namely, the wall (or screen), object and the light source. These practical examples are littered all throughout the book and children get to encounter and revisit their understanding of these concepts. It is incidental learning at its best. It’s no wonder my 10 year old has read it five times and my 7 year old three times so far: learning doesn’t get tiresome at all when its this appealing! Don’t worry if you have younger children who have not been exposed to Science. The concepts, being part of the narrative, pose no hindrance to understanding. This book might just get them curious and interested about Science on their own! The key teaching points are printed in colour and in bold so that parents can easily identify them as learning points to highlight to their children. As a parent, I greatly appreciate the attention to this detail. It’s a great bonus when we read with the kids and know exactly what elements to focus on! After all that’s been presented here, need I say more? 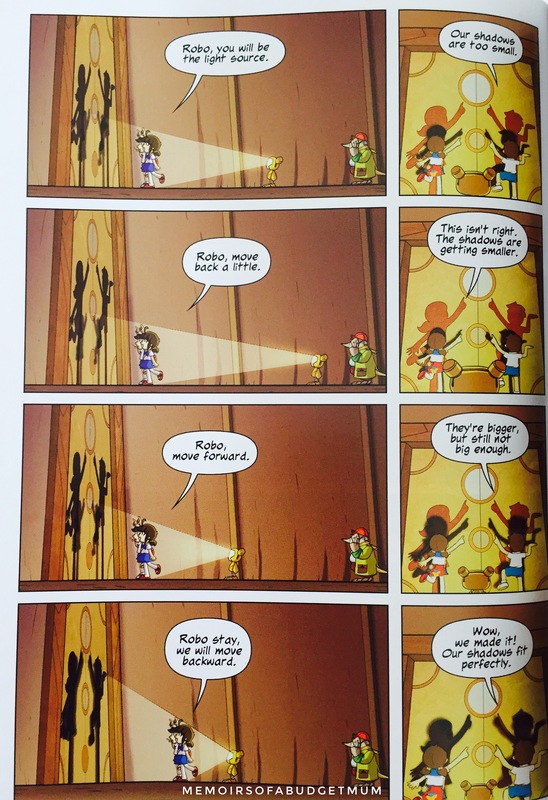 The diagrams are well presented and the scenes humorously and colourfully crafted. It is just delightful flipping through this vibrant book as it feels like a Studio Gibli Science production of sorts! This book has won the Moonbeam Children’s Book Awards 2015, Bronze Medal for Best Book Series and was the Winner of the USA Best Book Awards 2015 in the comics and graphic novels category! Now that certainly says something! JJ Science Adventures can be purchased online at the Harvest EduStore or in these retail stores. 1. SHARE this blog post on your Facebook Wall and TAG 3 friends! Please set the Share settings PUBLIC so we can see. 2. COMMENT on the FB or MOBM blog post, and tell us 1) what excites you about this book and 2) who you would like the book for. 3. LIKE the Harvest Edutainment FB Page and Memoirs of A Budget Mum Facebook Page. Proceed to the giveaway below. *The Giveaway will end on 22 December 2016. *Please state your email address as winners will be notified via email. *This giveaway is open to those residing in Singapore. One of my twin girl, J doesn’t like to read. However, she simply loves to read comics. As long as she picks up a book, I mean a good comics which is educational, I am most happy to lay my hands on. Bring it on~ Hope to win this book. Blessed Christmas MOBM & thanks for the give away. Science comics are such enjoyable and effortless ways to pick up science concepts. My boys are fans of science comics and we have been through many different series; some were hits, some were clear misses. Frankly, some were not good at all. Super excited about this new series. Hope to get the chance to land our hands on a copy soon! Would gift the comic book to my niece, who enjoys reading comics. Comic books which are educational in nature is a double bonus for parents (and Aunties)! That it’s a fun way to learn science concepts. The storyline makes the concept memorable and understandable. And which kid (or adult ?) doesn’t love comics? For a family we know who are delving deeper into science together in our science co op .